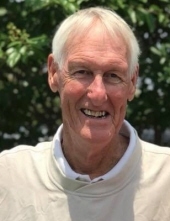 Ronnie Stewart Thompson, 72, passed away on Thursday, February 7, 2019 at Kitty Askins Hospice Center surrounded by his family. Ronnie was born in Wayne County on November 3, 1946 to Buck Thompson of Pikeville and the late Odelle Jones Thompson. He owned and operated the family business, Buck’s Fire Extinguisher’s, in Pikeville. Ronnie proudly served his country in the United States Air Force for four years and was honorably discharged in 1970 as a Sergeant. Ronnie loved The First Pentecostal Holiness Church where he had been attending but was a dedicated and faithful servant of the church his entire life. He had a large extended circle of family and friends and they were all very special to him. Ronnie will be missed, but will be greatly remembered as a loving husband, father and papa. Ronnie always found joy in simple pleasures which included: visits from family and friends or a Yankee win, as he was an avid Yankee’s fan. A service to celebrate Ronnie’s life will be held on Sunday, February 10, 2019 at 3:00 p.m. in the sanctuary of The First Pentecostal Holiness Church, 1100 The First Church Road, Goldsboro with Pastor Bill Rose officiating. The family will greet friends immediately following the service at the front of the church. Interment with military honors will be held on Monday, February 11, 2019 at 10:00 a.m. in the Pikeville Cemetery. At other times, the family will be at the home of his daughter and son-in-law, Erin and Ralph LeGrand, 216 Lancaster Pointe Drive, Pikeville. Ronnie is survived by his wife of 46 years, Donna Smith Thompson; father, A.K. “Buck” Thompson; daughters, Erin LeGrand and husband Ralph and Brooke Thompson; brother, Dickie Thompson and wife Diane; sisters-in-law, Sandra Thompson and Brenda Griswold and husband John; and two special grandchildren, Chandler and Ryleigh LeGrand. In addition to his mother, Ronnie was preceded in death by his brother, Kay Thompson. In lieu of flowers, the family suggests memorials be giving in his memory to Cures for the Colors, SMOC, 203 Cox Blvd., Goldsboro, NC 27534. To send flowers or a remembrance gift to the family of Ronnie Stewart Thompson, please visit our Tribute Store. "Email Address" would like to share the life celebration of Ronnie Stewart Thompson. Click on the "link" to go to share a favorite memory or leave a condolence message for the family.